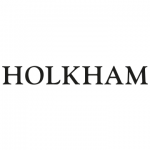 Halloween at Holkham is a ‘spooktacular’ occasion! In 2018, we enjoyed a jam-packed programme of spooky events, including a murder mystery adventure for the whole family! Complete with our very own Holkham ghost, families visited the hall, Field to Fork Experience and walled garden to collect clues to find out whodunnit! We enjoyed solving terrifying trails and quizzes, pumpkin carving, fancy dress and decorating delicious cookies to take home. Wait and see what tricks and treats we have in store for you all this year!